At Central, our high school students, similar to college and university students, use EBSCO databases for research. 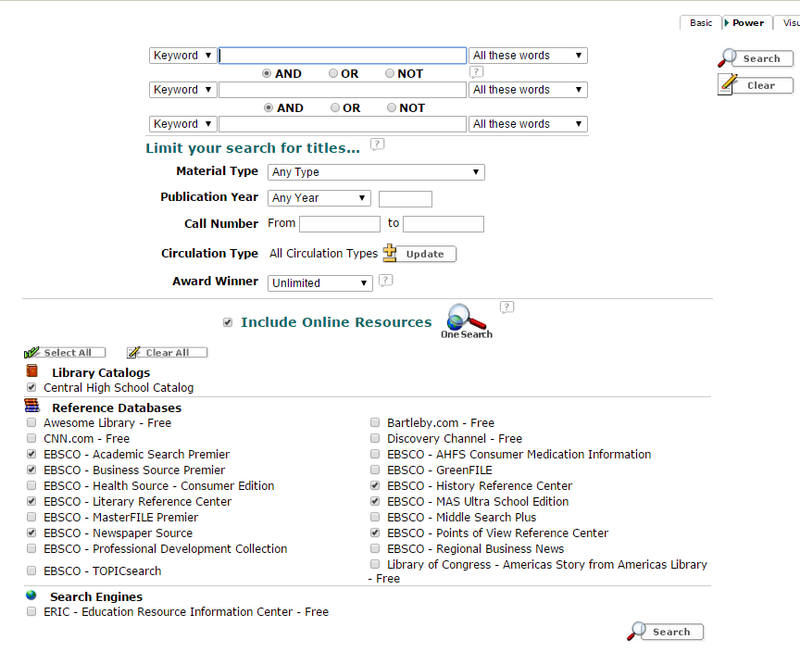 EBSCO is a very widely used, academic online information resource for thousands of schools and institutions worldwide. 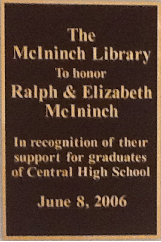 The Manchester School District, through the state of New Hampshire Department of Education provides some databases, and Central High School also pays for additional EBSCO products which we use here at the McIninch Library. 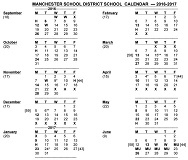 Last year, the Manchester School District installed Follett’s catalog software in all the schools in the district. This year, Follett and EBSCO have released an ability to integrate the EBSCO databases with Follett’s catalog software, using Follett’s One Search. Because of the partnership, Follett’s One Search allows students to quickly access not only the full range of library resources, but also the EBSCO online subscriptions in a single, timesaving search. To access the One Search functionality, users must click on the Power Search tab instead of the Basic Search tab when doing a library search in the Catalog. Tick the box that says Include Online Resources, and the references database will appear as shown in the example below.